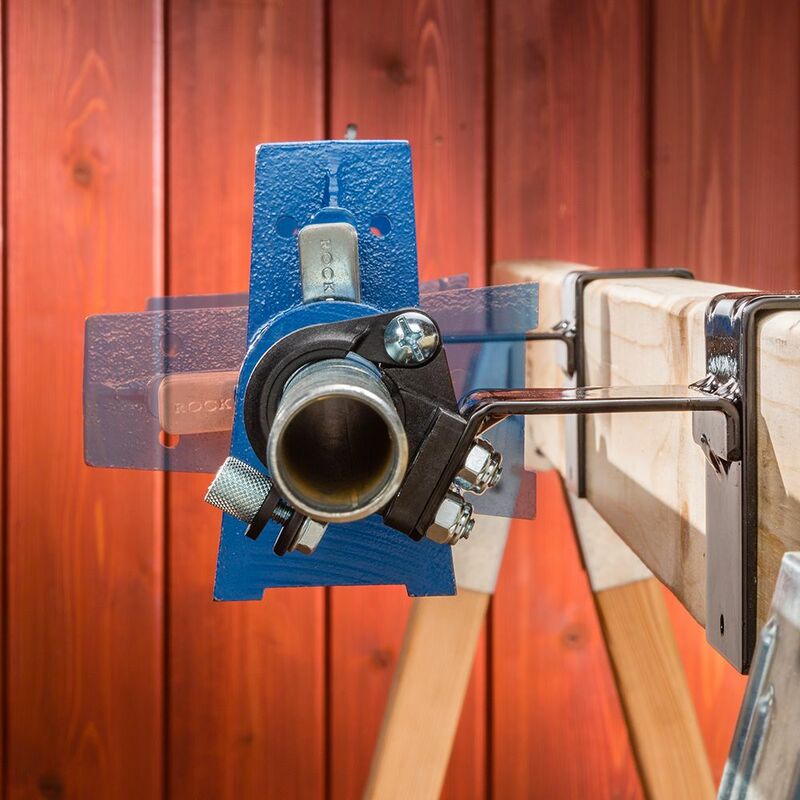 Brackets attach to a standard pipe clamp, then slip over a 2x4 sawhorse crossbeam to create a handy workholding vise. 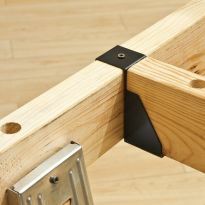 These brackets can slip over the 2x4 crossbeam on a sawhorse to make a quick on-site vise for holding and clamping a wide variety of items. 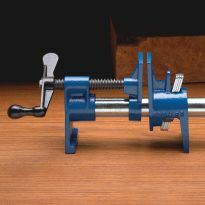 The brackets swing open to accept a standard 3/4'' pipe clamp, then slide easily over the 2x material to anchor the vise in place. 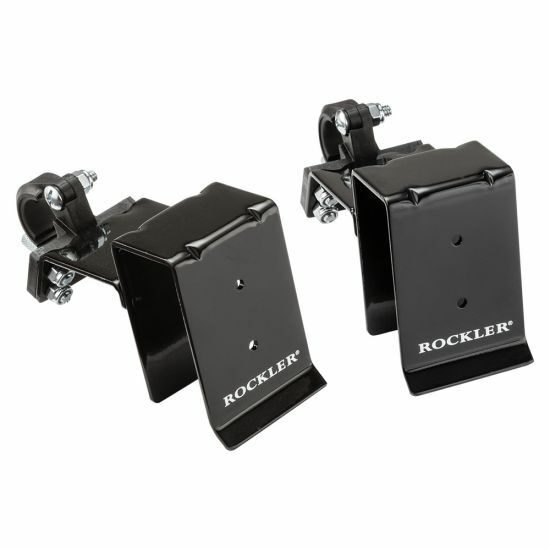 They are held in place via friction and gravity, and you can use the included screws for additional stability. 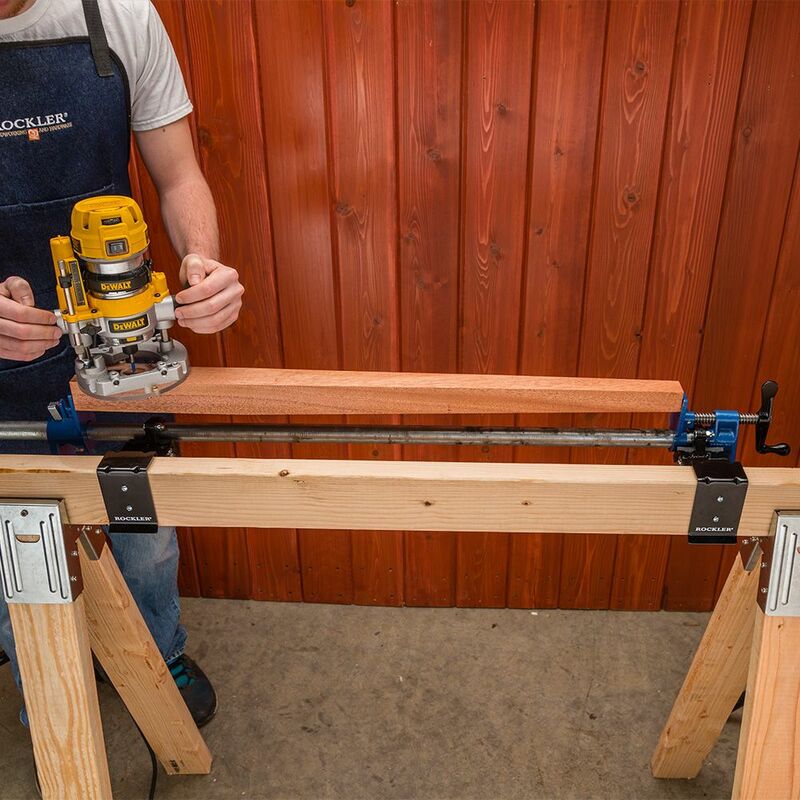 When in use, the clamps can be positioned in the upright position, and then swung out of the way when not needed, or when you wish to use the sawhorses in the traditional way. The brackets hold 3/4'' I.D. pipe in a ring clamp that is fitted with a rubber gasket for a better grip. 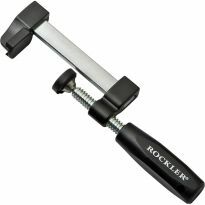 The ring clamp is tightened with a tool-free thumb screw. Compatible Pipe Diameter: 3/4'' I.D. Seems like it could be a very useful addition to my saw horses. Looked like a very useful tool. looks like a betterment to my single man workshop. We'll see. Hope it makes my work faster and safer. Replaces item I can no longer find for my sawhorses. 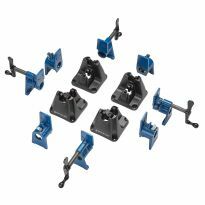 Looks like perfect bar clamp brackets for in the field. Thank you! I'm forever trying to find ways to hold some project stead in one place. This pair of brackets should do it! can I clamp a 4x8 sheet of plywood ? 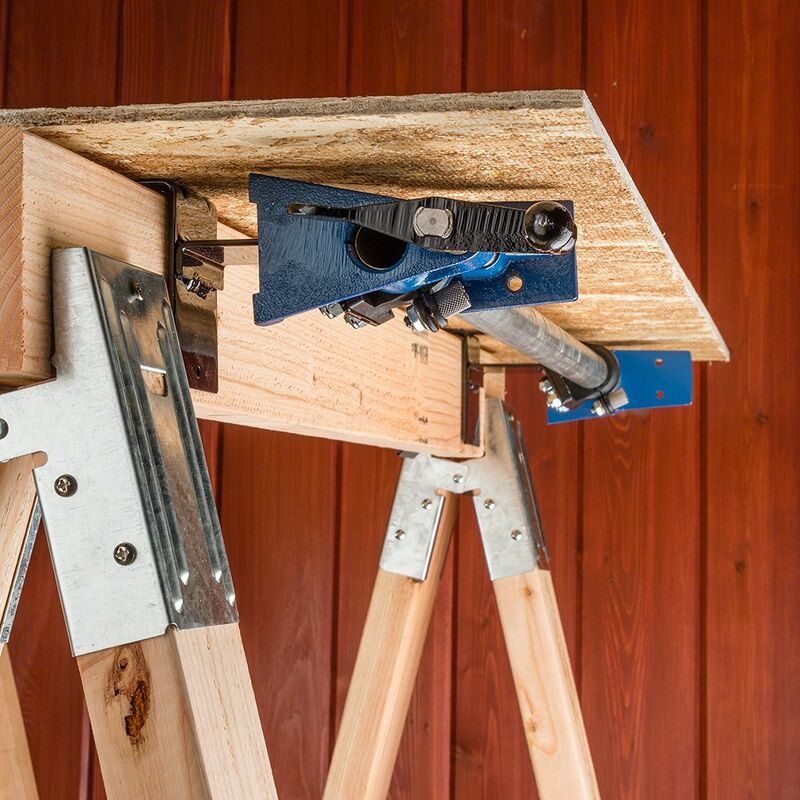 do I have to alter my sawhorse to mount clamp do I use a regular Rockler pipe clamp with tall jaws ? BEST ANSWER: As long as your pipe clamp can extend out the distance needed to clamp 4' and your saw horse can accommodate that length as well, these alone would be fine. 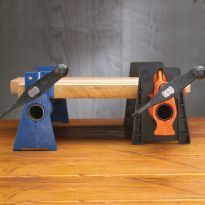 You wouldn't need to lengthen your saw horse, you could put the open end clamp towards the center of the pipe clamp-as long as the weight isn't tippy to one side of the saw horse. The clamp that attached to the pipe clamp thread end would need to stay where it's intended. I was told you can screw a small block under your work board Swing clamps down clamp this small board that under your work Then you can route the 4 edges of your work at one time ?? 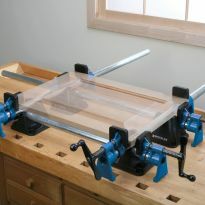 BEST ANSWER: As long as you note the depth of your router bit, so it doesn't hit the clamp, I don't see why you can't. But yes, the heads of the clamp rotate down (so they would be clamping the part that is attached to your work piece). CAN I rotate the jaws down out of the way so I have a clear usable sawhorse top to work on ?? 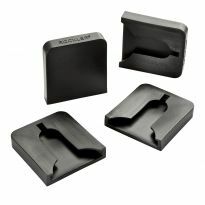 what is best jaw height clamp to use ? 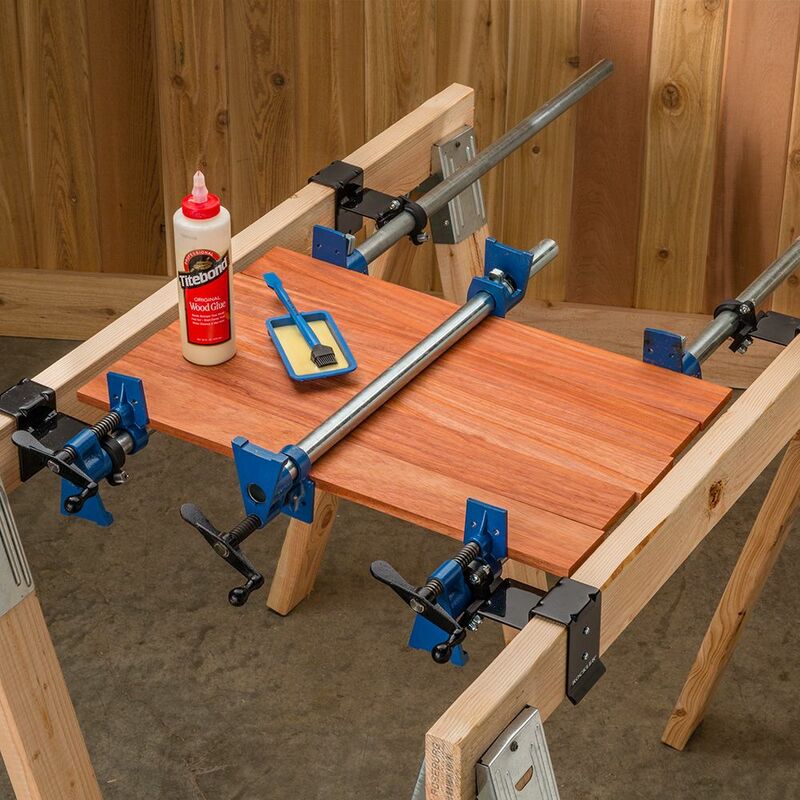 should I use two clamps one for each sawhorse ?should I use black or plated 3/4 pipe working outside general use ?